Miso soup with clams from a lake in western Japan's Shimane Prefecture that has the same name as the protagonist in the TV animation series "Neon Genesis Evangelion" is proving to be a hit, having gained attention via social networking services. 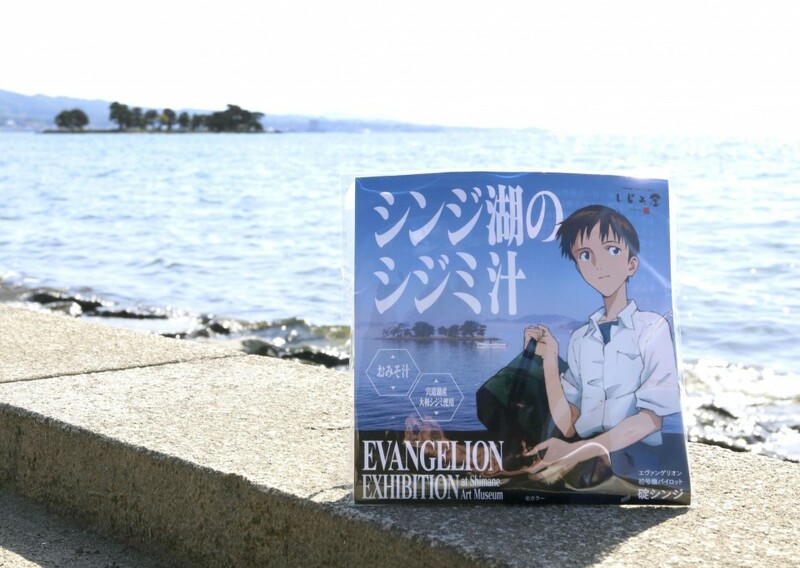 The ready-to-eat soup uses 50 grams of seasonal clams from Lake Shinji in the city of Matsue and its package shows an illustration of Shinji Ikari, the main character of Evangelion, standing in front of the lake. The item "Shijimi (clam) soup of Lake Shinji," priced at 410 yen ($3.7), was produced by the Shimane Art Museum and is on sale during a special exhibition of the Evangelion series at the facility through July 9 and online. Soon after the soup went on sale in late April, it came under the spotlight via SNS, prompting the museum to double production from its initial plan. "Some people come to Matsue just to buy the soup," said an official of the museum. The Evangelion series, which began in 1995, features teenage pilots of cyborgs combating aliens.